Over the weekend the Giants and OF Hunter Pence agreed to a five year $90 million contract, preventing the 30-year old outfielder from becoming a free agent. Shin-Soo Choo had a similar year to Pence but gets on base more, increasing the speculation that Choo could actually get a better deal than Pence. We have heard for weeks now that the Mets will be interested in signing Choo but will Sandy be willing to give $100 million to a 31-year old who has never made an all-star team? I’m quite skeptical of that, especially when the Mets need two outfielders and must address shortstop. Alderson was interested in signing Choo to a deal around four years and $60 million but it looks now like the Boras client will easily exceed that. The Mets might need to consider other options here. The Red Sox plan last offseason would work well for the Mets if they bring in guys who could play in New York. This team is not one hitter away they need to sign three or four hitters and they all need to pan out. It’s going to be a very interesting and complicated offseason in Queens…. The Mets will have the 10th overall pick in the 2014 draft. That means the pick is protected so the Mets are free to sign any free agent they want without fear of losing the pick as compensation for another team like last offseason. This draft is considered to be much better than the last two. The prize of the 2014 draft is North Carolina State’s Carlos Rodon. A lefty pitcher who is almost guaranteed to go number one to the Houston Astros. Here are a couple names to consider for the Mets at 10. The Mets are very familiar with taking high school kids in the first round under Alderson but Gatewood is not nearly as raw as the Mets former first-rounders. 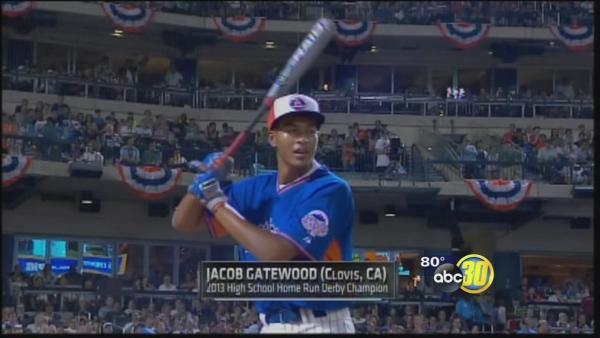 He is remembered as the high school kid who put on a show in between rounds of the home run derby at Citi Field in July. He should be one of the top 10 picks next June. This isn’t NBA champion point guard Derek Fisher but rather a power hitting outfielder at Virginia. Fisher is a candidate for college player of the year in what will be his last college baseball season in 2014. He is one of the more polished hitters in this draft. He should be one of the top 15 picks next June. Rodon’s teammate at NC State, Turner has drawn comparisons to the Braves Andrelton Simmons. He likely won’t get to the Mets at 10 but is a name to remember. Beede was taken in the first round by the Blue Jays a few years ago and he may have been right not to sign. The right-hander went to Vanderbilt and has turned into one of the top arms in the country. He throws very hard and is not far away from the big leagues. He could be a fast riser through the minor leagues. Beede will likely be taken in the 5-10 range. In what was arguably a mirror image of 2012, the 2013 Mets season is over. They finished with the same record they had in 2012: 74-88. They did manage to finish higher than fourth place in the NL East for the first time since 2008- a consolation prize of sorts. 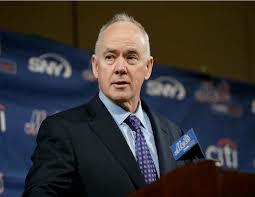 We have been told by the entire front office for two years now that the Mets plan is for 2014. Well, the next time the Mets play again it will be 2014. The team has so many holes but has the financial flexibility they haven’t had in a very long time to fix those holes. If they use the money wisely on the right players, this can be a playoff team next season. Here are the holes they absolutely must address. The Mets came into the season not sold on Ruben Tejada and it turned out that they were right about him. Tejada came into camp overweight, didn’t hit and worst of all, made too many errors that cost the Mets a few games in April. 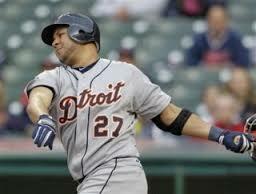 They have no depth at the position and were forced to play Omar Quintanilla every day for most of the year. They gave Wilfredo Tovar a look in September, but he is more of a utility guy. There are a few options here in free agency but no perfect solution. Stephen Drew will be available and I profiled him as a free agent here. Jhonny Peralta will also be a free agent but he is coming off a 50-game suspension for PED’s and he is below average defensively. He has pop though and must be considered. Speculation has increased on Troy Tulowitzki becoming a Met but the Rockies don’t match up well in a trade with the Mets. I wrote about the Mets odds of getting Tulo here. Other trade possibilities could come from the Diamondbacks who have Chris Owings and Didi Gregorius and Arizona doesn’t seem to favor one over the other for 2014 yet. Outfield should be a little easier to fill than shortstop because there is a lot more depth in free agency. 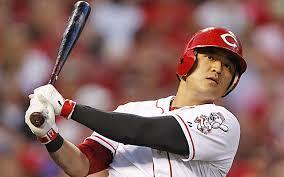 Shin-Soo Choo is the headline name and the Mets will be involved in his market. Other options include Nelson Cruz, Carlos Beltran and Jacoby Ellsbury. The Mets are going to need two outfielders – most likely for left and right field. The likely scenario is the Mets sign one outfielder and trade for another. However they are very uninterested in trading top prospect Noah Syndergaard in any deal. Without Harvey (we should know by November) the Mets will need to sign a veteran starter to give them innings. Matt Garza is the headline name but the Mets will be looking for a guy who is looking for a lot less money. Free Agent Options include some pretty big names that have fallen upon hard times, Josh Johnson, Tim Lincecum and Phil Hughes are a few names the Mets will consider. Old friends Shaun Marcum and Mike Pelfrey are also free agents but neither is likely to see a reunion in Queens any time soon. In his time as Mets general manager Sandy Alderson has built three bullpens and all three have been significantly below average. This would have been more noticeable this year if the team was able to score more. Even if they fix the offense, this bullpen blows more than its fair share of games and that can be demoralizing for a young team. Bobby Parnell will be the closer if he is healthy but he is coming off neck surgery and Terry Collins said Parnell has already lost 30 pounds since surgery which was just a few weeks ago. His return to form is not 100% guaranteed so bringing in a few late game options wouldn’t hurt. There is mutual interest between the Mets and LaTroy Hawkins in bringing the reliever back for a second season in Queens but he will be 41 and the team will need more than just him to add to their bullpen. Over the next few months there will be a lot of rumors, some fact and some fiction and BrokeMets will be there to break down what makes sense for the Mets in what should be a busy offseason for Sandy Alderson. How should the Mets approach their offseason? According to various media outlets, the Mets are set to bring back Terry Collins on a two year extension with a club option for 2016. 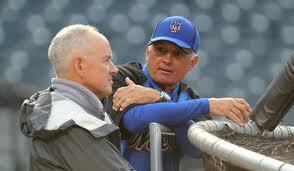 Collins has a 224-260 record in three seasons as the New York Mets manager. Again this was expected, as the Mets like Collins and Sandy Alderson wanted a manager where he would remain with full control in the organization, so bringing in a big name manager was never really a consideration here. I thought Collins did an outstanding job deflecting attention from his own contract situation this year. Not a ton of managers are able to handle being on the last year of their deal. This is only a two year extension and the Mets are expected to have some expectations next year so if they stumble out of the gate, it’s possible that Collins could go on the hot seat although that is just my own speculation. Collins got this team 73 wins despite losing all but three players,(Murphy, Hawkins, Gee) to injuries, demotions and a few releases this season. Collins did a nice job but the spotlight now goes fully on him as the Mets start to give him some offensive weapons this offseason. As the Mets wrap up the 2013 season only three players made it from Opening Day to this point, LaTroy Hawkins, Dillon Gee and Daniel Murphy. The three have been fantastic this season but none more than Daniel Murphy. While he is a little streaky, his overall numbers reflect on his solid if not great season with very little else around him. Murphy, 28, has hit a career high 13 homers along with a team high 77 RBI’s, 37 doubles and 92 runs scored. Murphy has also stolen a career high 21 bases despite being an average to slightly below average runner. Murphy has worked incredibly hard on his defensive play and it has improved dramatically this season after working with Tim Tefuel. Murphy will be eligible for arbitration two more winters and then will be a free agent after the 2015 season at the age of 30. Murphy also is 4th in the NL in hits despite having some serious home road splits (like most Mets) .258 at home .308 on the road. There has been a lot of speculation that the Mets should trade Murphy while his value is high. I completely disagree, this is not a flash in the pan player and he has shaken off the “injury prone” label, playing in 155 games or more three of the last four years. Murphy has played all but one game this season. 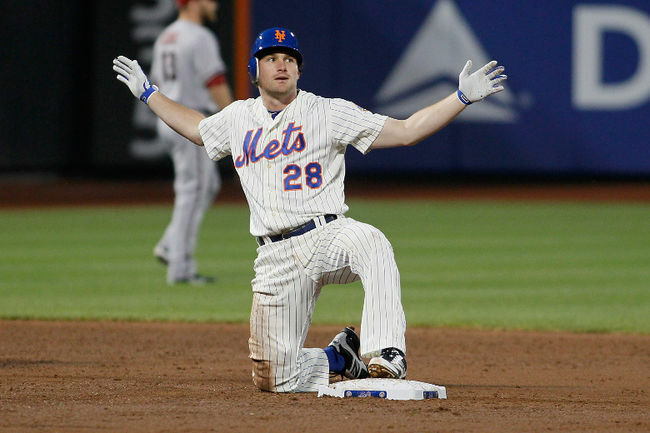 Now is the perfect time to give Murph a contract extension. Daniel will start to get expensive in salary arbitration and will likely make around $4.5 million- $5 million next year after making $3 million this year. Murphy at the age of 28 is just starting to hit his prime so a four year extension would buy out his arbitration years along with two free agent years. So how much would that cost? The best comp around would be the Royals 1B/DH Billy Butler who received a 4 year $30 million contract extension with a 5th year team option before the 2011 season. Butler gets on base at a much better clip than Murphy but something in this range makes sense for both sides. Murphy could get some financial security and gets to avoid having his name in trade rumors all winter and the Mets would get some cost certainty on a player who is starting to make some serious money through arbitration. Murphy isn’t the perfect player but he has more value here than he does to another team. He is great in the two hole and the Mets don’t have another option right now at second base. He’s good for close to 40 doubles a year and could be an even better offensive player if the Mets bring in some other hitters to support him and David Wright. Is this the right time to give Daniel Murphy a contract extension? Travis d’Arnaud got off to a brutal start to begin his major league career hitting in the low .100’s. That has changed however over the past two weeks as the young catcher has begun to pick it up. D’Arnaud is 10 for his last 34 and has pushed his average back to .200. Advanced metrics seem to tell the story that Travis has been very unlucky in his 100 big league at bats with a BABIP of .240. That means he is hitting just .240 when he puts the ball in play. The major League average is around .330. The pitching staff have raved about the work he has put in behind the plate and how great of a signal caller he has been in his brief time in the big leagues. It has been a tough go for Travis d’Arnaud but the last two weeks are very encouraging for one of the few guys that are penciled in to a starting job next year. David Wright is locked in as the team’s third basemen, d’Arnaud as the catcher and Daniel Murphy is very likely to be the second basemen barring a trade. Every other position on the Mets is currently up in the air so it is nice to feel a little more comfortable about catcher as the season draws near an end. There have been various reports by media outlets the last few days saying that the Mets should make or attempt to make a trade for Rockies SS Troy Tulowitzki. Tulowitzki, 28, is probably the best shortstop in the game when healthy possessing light tower power and the best throwing arm you’re going to see from an infielder. His throwing arm is so good and more than makes up for a lack of speed. WAR has Troy as a near Six win player which is unbelievable considering he missed over 30 games. 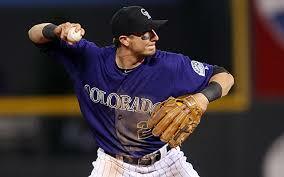 Tulo hasn’t had a full season playing more than 145 games since 2009. He misses some serious time with a broken rib this season and you have to wonder if his numbers are slightly inflated playing in the hitter friendly Coors Field in the high altitude in Denver. Tulowitzki is hitting .344 at home and .281 on the road this season. The reason why trading for Tulo isn’t in the Mets best interest is because of the money still on his contract along with the significant haul of prospects it will take to pry him out of Colorado. Any deal will likely take Noah Syndergaard, the Mets #1 prospect. The Rockies are desperate for pitching and free agent starters have been more than unwilling to go play in the high altitude in the past. Harper in his article claims that the Rockies would be looking for position players back in any deal for Tulowitzki which I find rather strange. If that is the case, the Mets don’t seem to match up well with the Rockies. The Mets have two hitting prospects that are major league ready and that’s Travis d’Arnaud and Wilmer Flores. The Rockies have two pretty good young players at third and at catcher in Wilin Rosario and future gold glove winner Nolan Arenado. The mets don’t seem like a great fit if the Rockies truly want position players. The Mets farm system is improving but certainly isn’t in a position to unload three or four guys in one trade which is what this potential trade reacquires. I believe a free agent stop gap like Stephen Drew or Johnny Peralta would be a better fit for the Mets this off season than Tulo. They will cost more than $100 million less and won’t cost anything in terms of prospects. I don’t think the Mets are much of a match for Tulowitzki but it is certainly something to keep an eye on.